C) The invoice date will by default be set to today’s date. You can backdate this to the date of the invoice is preferred. D) Click this button to record the invoice under the Vendor’s information. Once you click on Add Invoice you will see the details recorded on the list-view on the screen. You can click on Receive Items to proceed with the rest of the purchase order process. The invoice data recorded can now be found in the Vendors section. 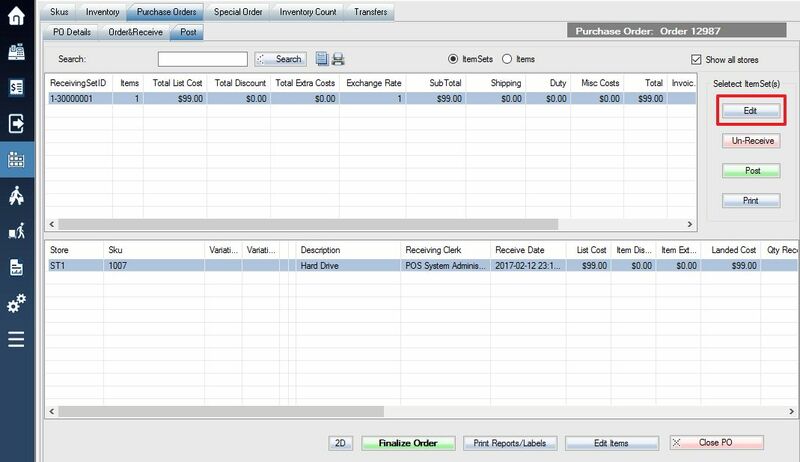 The list view here should display your PO invoice record if you chose the correct Vendor. 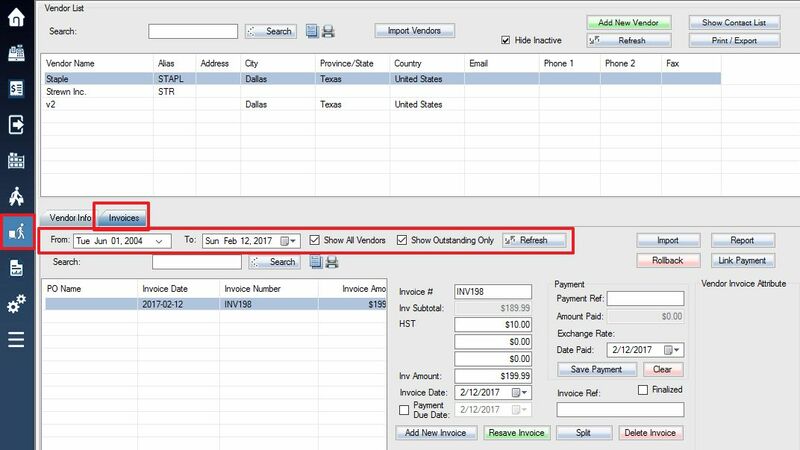 You can also adjust the show values and date range before clicking Refresh button to filter the invoice entries displayed. When you select one of the records you will see the same values you originally populated for its display in the fields shown below. You can adjust these values if they have changed or been miss-recorded initially. J) Selecting this button will open a file explorer window where you can choose a file to import invoice records. Once you select the file you will be presented with a window titled “Match the Columns. 2) For each associative field, you will specify which column that information should be resourced from the import file. If you do not want to import any data to that field you can choose “Default / Null” as a selectable choice. M) Clicking this button will generate a copy of the currently selected invoice. More details here. O) This button will create a copy of the current invoice with zero balance. 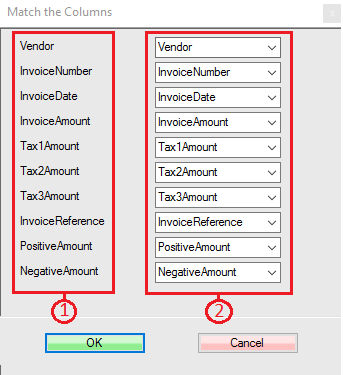 You can then manually distribute the invoice balance on either invoice by adjusting the “Inv Amount” value. //NOTE: If you missed recording the invoice you can add it after receiving the items by clicking on the Edit button while having the receiving set selected in the Purchase Order Post tab.